North Downs, located near the pretty village of Woldingham, not far from Caterham, was founded in 1899. Part of the club house still retains its listed building status that adds to the atmosphere in the lounge. The 5,815 yards, SSS 69 course is challenging but enjoyable with spectacular views from many parts of the course. At over 850 feet elevation in the folds of the North Downs, the club is said to be the highest golf course in Southern England. The views are excellent and from the 14th green and 15th tees, you can see London in the far distance with Crystal Palace, the Gherkin and the Shard easily recognisable. It is spectacular when the sun reflects from the Shard. The terrain is mostly gentle while some of the slopes make golf very interesting! Each of the holes has its own name, most of which reflect the make-up of the hole. The par-threes provide their own unique challenges and the par fours reward accurate driving and good positioning to find the greens. The Club has a reputation for friendliness with new members invited to join various groups within the Club. You will never find yourself standing on the first tee alone. 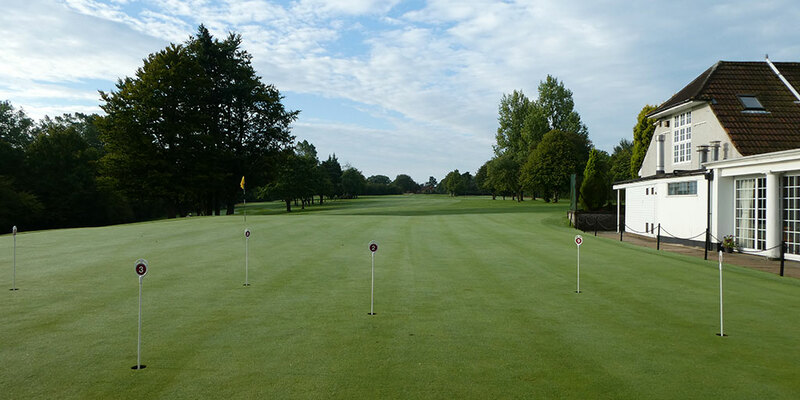 The course is always in good condition and offers some of the finest greens in Surrey so enjoy a Stimulating round of golf with time to enjoy the interesting views. Tee times subject to availablity - call 01883 652 057 to book your tee time. TSG members will be required to state 'TSG Offer' when booking tee times and will need to show a printed TSG Profile Page or TSG Handicap Certificate with proof of ID when in the Pro Shop.